Isuzu D-Max is among the top-selling 4×4 off-road pickups in Tanzania as it provides an extreme demand and value for all ages of customers. This contemporary design trendy light-duty pickup provides an urban class appeal to everyone with a truly noticeable glance and outstanding presence. The increasing number of import shows a sign of its rising popularity in all over a region of Africa. It is a robust solid compact-sized right-hand pickup truck built with a sleek design structure composed of rectangular shaped LED front headlights, under spoiler front round shape fog lights, front metallic horizontal 3 bar grille, lower grille, front bumper, front radio antenna, power side view door mirror with LED turn signal indicator blinking lights, and 18-inches of alloy wheels. On the rear side, it offers a stylish catchy bold display view for customers added with vertically fitted LED taillights, high mount stop light, and rear side bumper. The body style color variations are added as summit white, pepper dust, vector blue, son of a gun grey metallic, black meet kettle, pull me over red, and switchblade silver. The interior design offers a true sense of luxury and comfort with spacious seating capacity for both single and double cabin pickup categories. The premium class leather seating offers a relaxing journey experience with ease of legroom and headrest space for passengers. The inside dashboard provides a distinctive appeal to customers and equipped with advanced key essential features such as auto air conditioner, passive entry and start system, power steering, and instrument panel with multi-information display features. 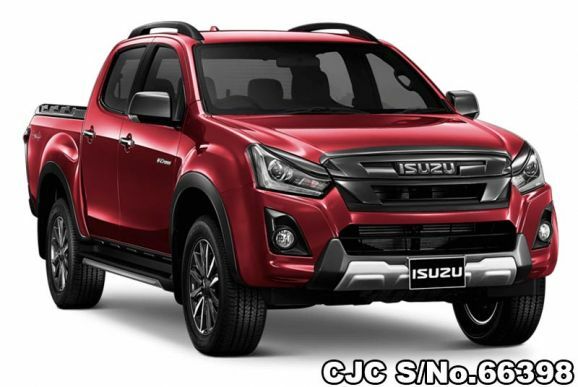 The driving safety features are included as the anti-lock braking system, electronic brake-force distribution system, brake assist, electronic stability control, and dual airbags for front, side, and curtain. Moreover, the rear side opens flat cargo compartment offers a widely extensive bulk storage loading with lockable tailgate and can carry about 1 ton of payload with 3.5 tons of towing capacity. It provides easy road handling with a smooth seamless drive on all kinds of harsh terrains. Isuzu D-Max is a highly recommended 4-wheel drive pickup in Tanzania which has become a perfect choice of outdoor recreation adventure trip for customers and delivers a superb fuel-efficiency drive with 3.0 liters of turbocharged diesel engine powered by manual as well as an automatic speed transmission system.